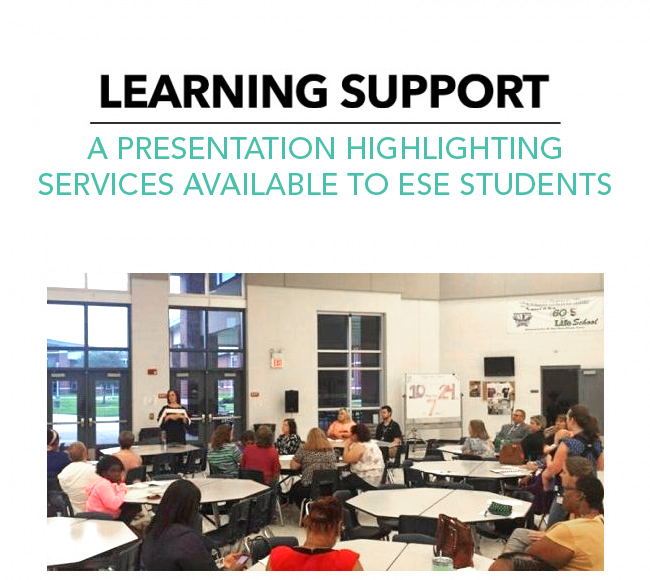 Last night, parents and teachers got the chance to meet members of the Learning Support division as well as discuss their children’s needs and how to improve Exceptional Student Education services. The free Meet and Greet event was held in the cafeteria of Tenoroc High in Lakeland. Steinke provided an overview of the department’s major responsibilities. You can view the presentation here. Attendees were able to speak with key staff members, ask questions, and offer feedback and suggestions. There are more than 18,000 students enrolled in Polk County Public Schools who participate in ESE programs. These students include children with various disabilities and gifted learners.